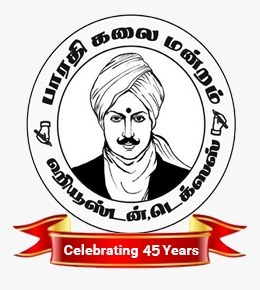 Bharathi Kalai Manram – BKM » Non-BKM : Classical Arts Society – Spring Festival celebrating the Birth Centenary of Smt DK Pattammal. 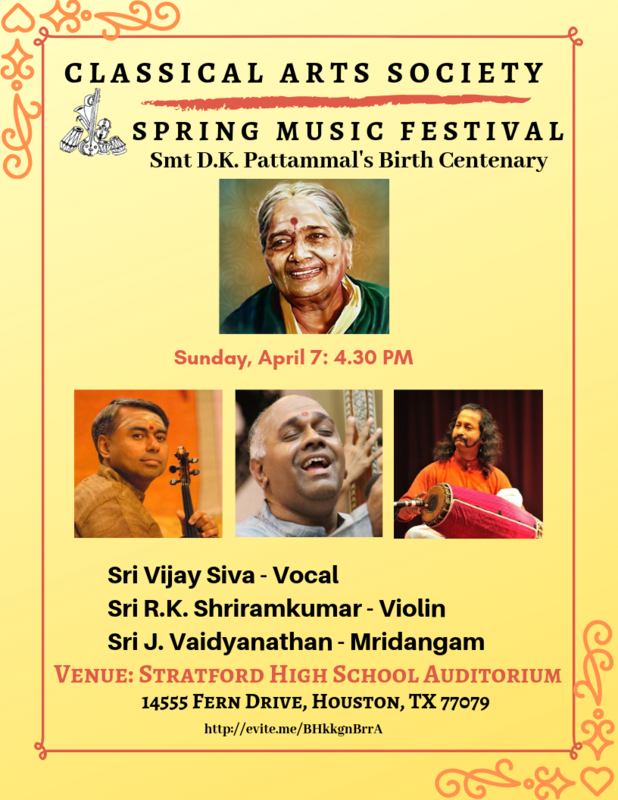 Grand Concluding concert of the Spring Festival celebrating the Birth Centenary of Smt DK Pattammal. The Program is Free, but RSVP is requested. The school is on the I-10/Dairy Ashford area in Spring Branch school district. Entrance to free parking and to auditorium, is across from O’Reilly Auto parts on Dairy Ashford.